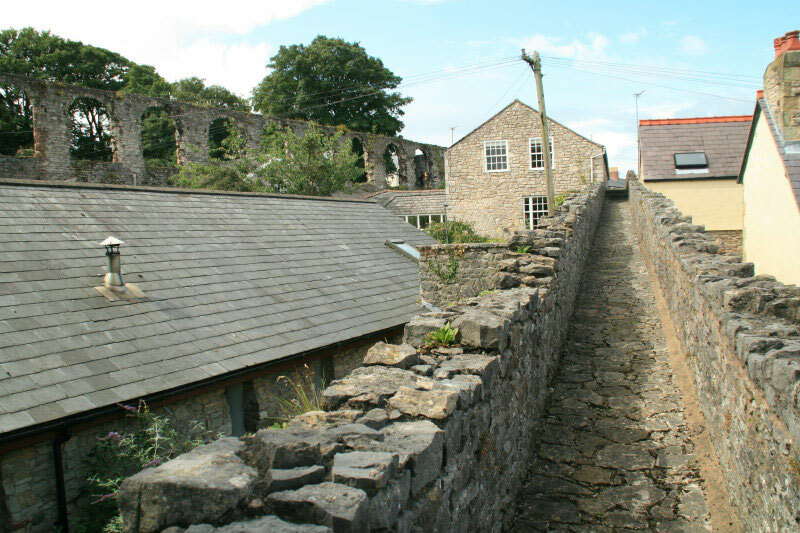 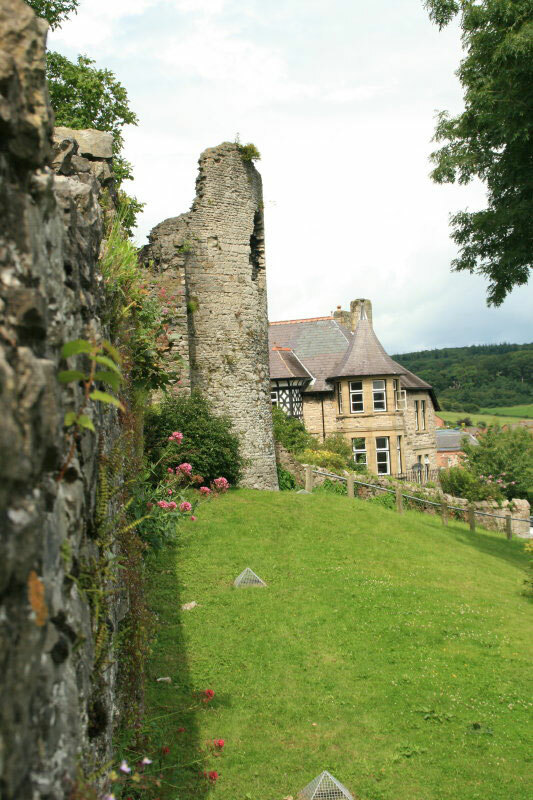 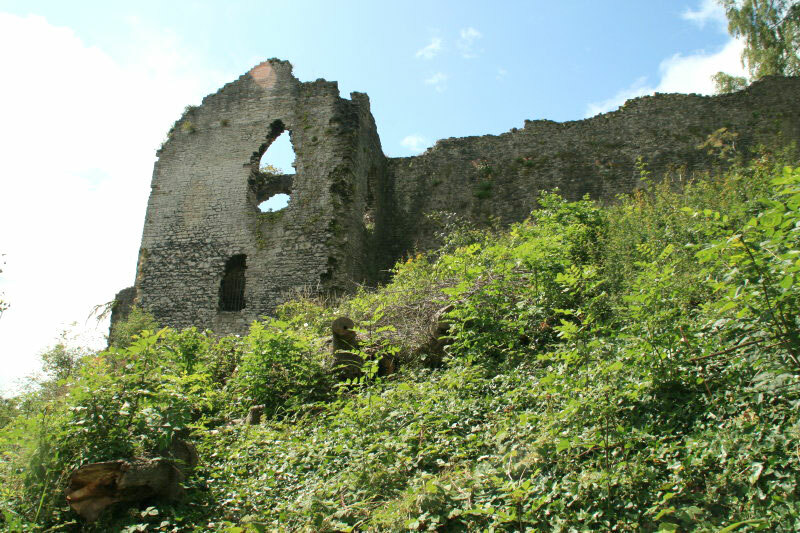 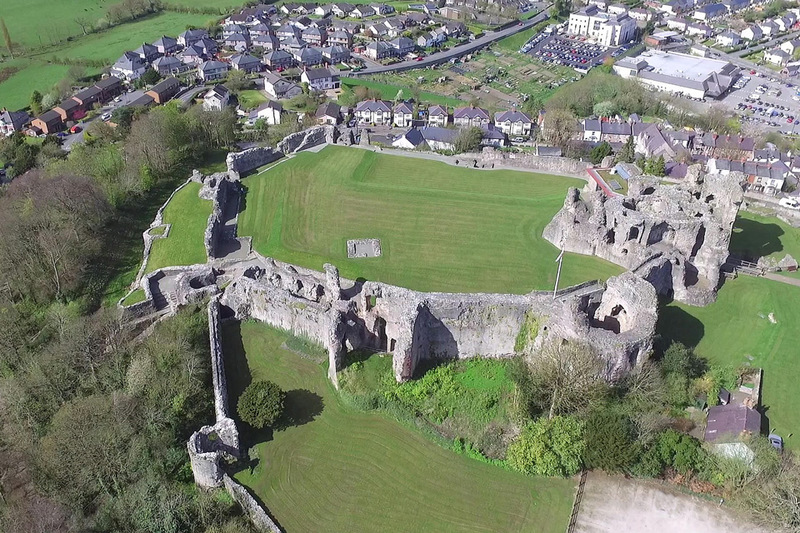 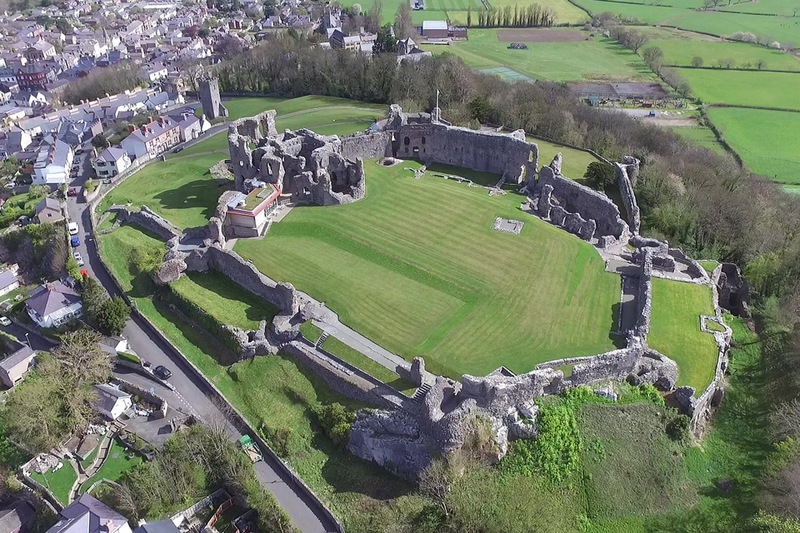 It was built between 1282 and 1311 on a hill overlooking the town, on the site of an earlier Welsh fort or palace. 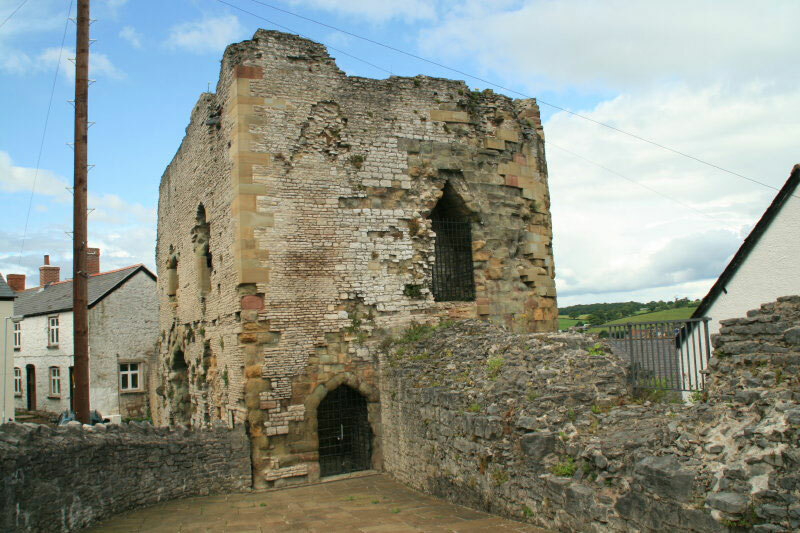 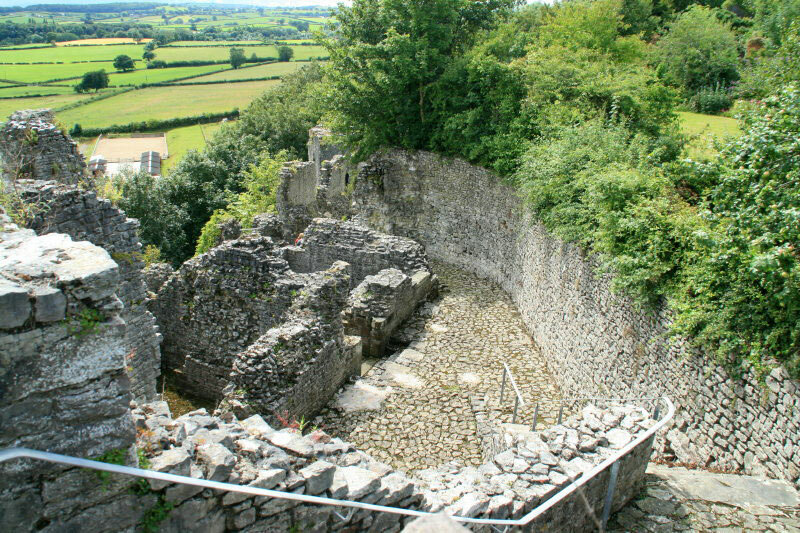 Initially the northern side of the castle adjacent to the town was protected by the town wall but an unusual triangular gatehouse formed out of three massive polygonal towers, together with the completed curtian wall incorporating another three towers were added in 1295 after the town was captured by the Welsh. 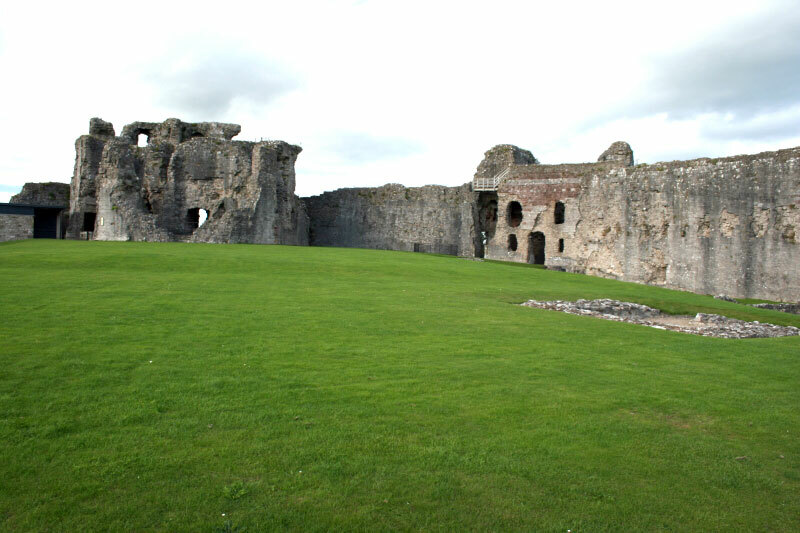 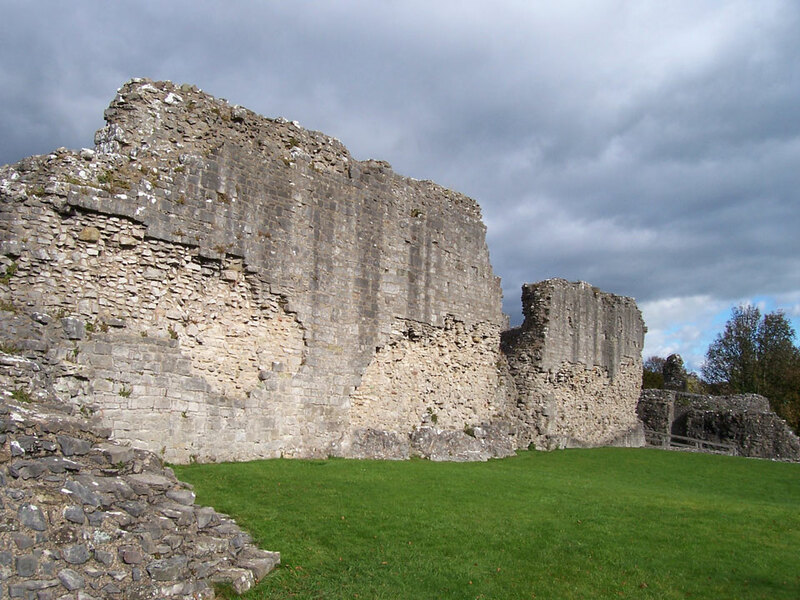 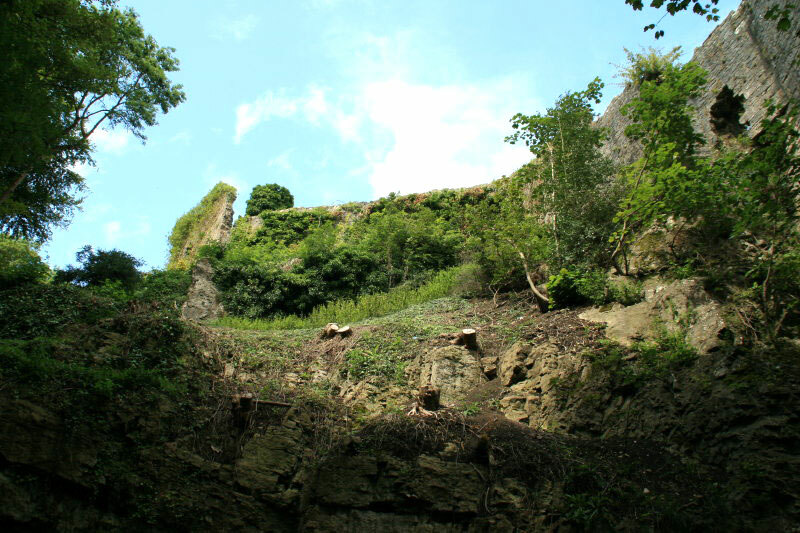 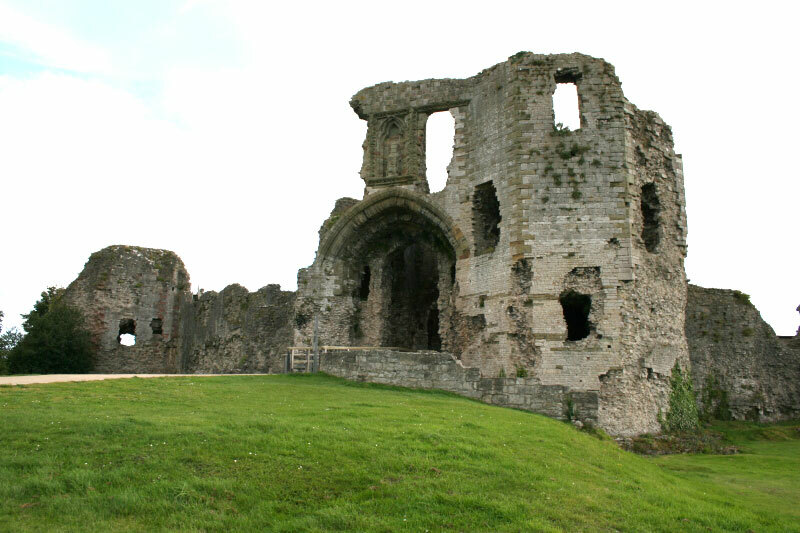 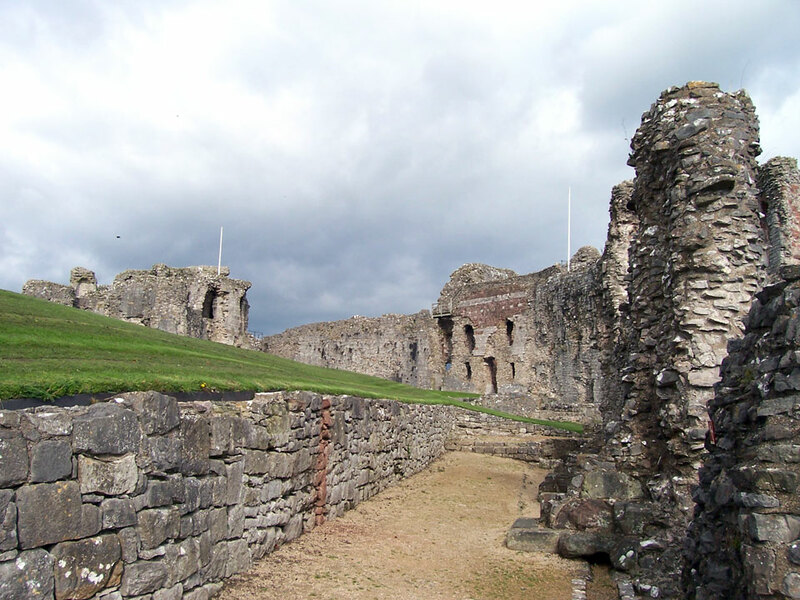 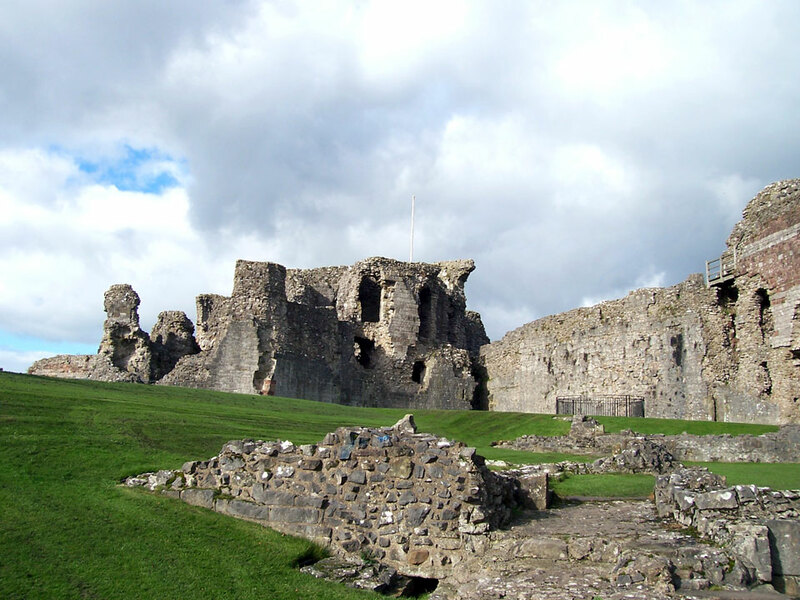 It slowly deteriorated during the 16th century when only a part of the castle was habitable but it was refortified at the start of the the Civil War. 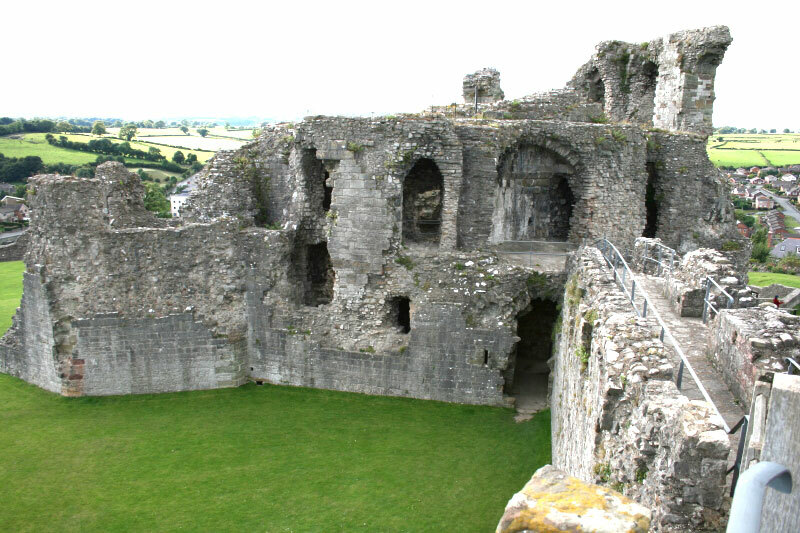 It was badly damaged during a six month seige in 1646 before surrendering and after the War the curtain walls were pulled down. 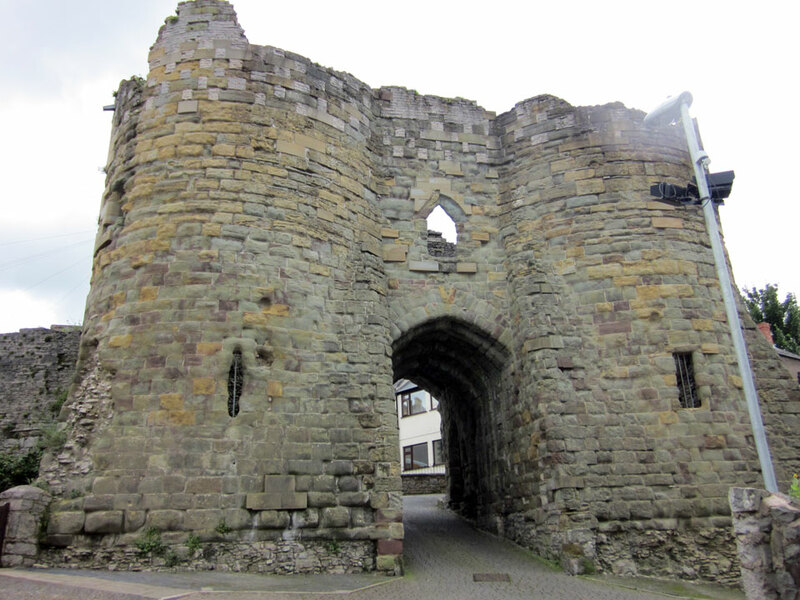 The town walls which start and finish at the castle are still standing almost complete and one of the two original gateways, the Burgess Gate, still remains. 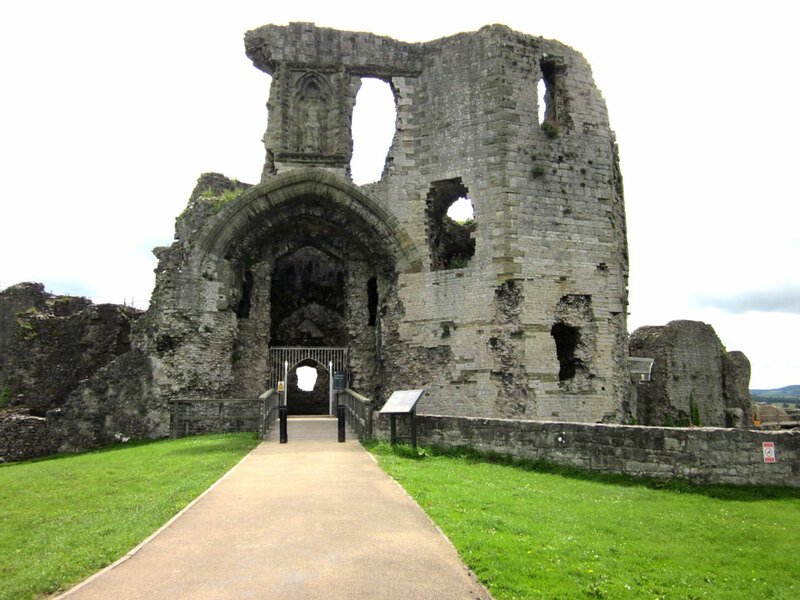 They are 1200 yards long and were built between 1282 and 1294. 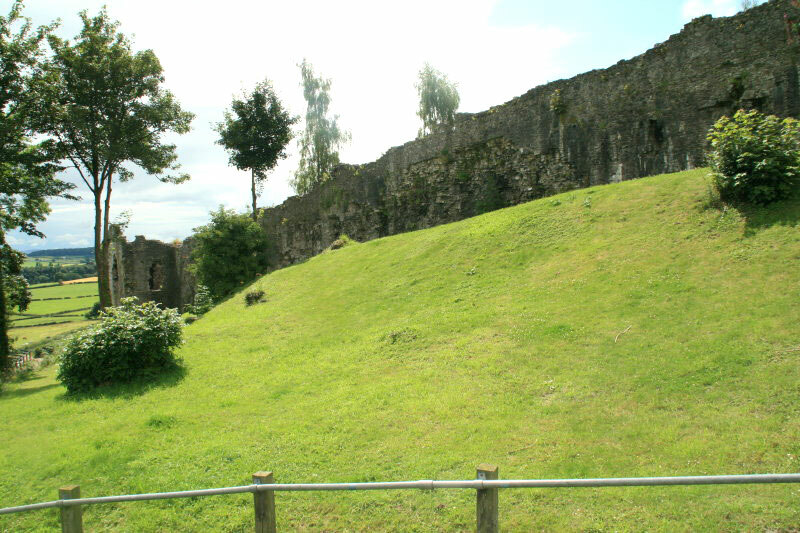 An extra defensive section, including the Goblin Tower, was added in the 14th century. 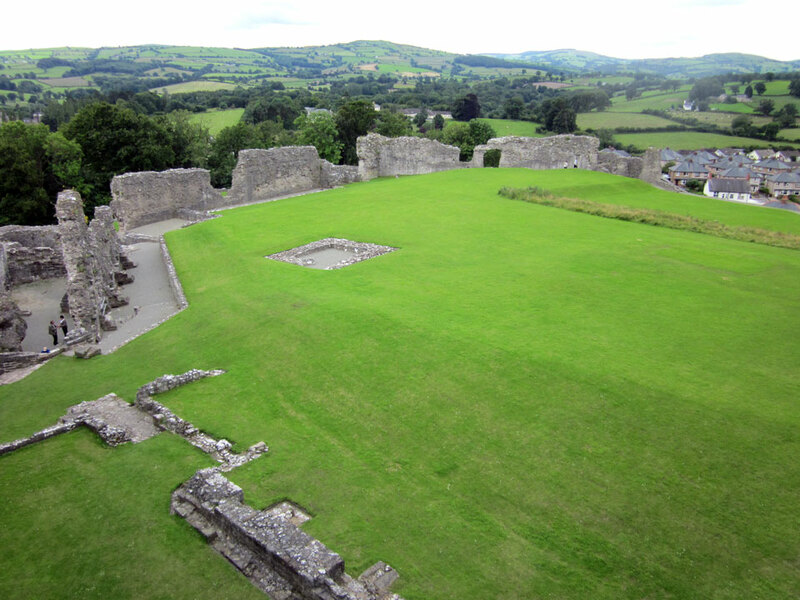 A543/A525, 8 miles north of Ruthin.